Kanazawa is a small city on the west coast of Japan. It was spared from bombing in WWII and its architecture remains intact. Small, captivating canals meander through the walkable city. After navigating Tokyo and Kyoto, it was nice to be in a small, manageable city. Oyama Shrine: While not spectacular, we loved the humbleness of this shrine. It is set in a slightly overgrown garden and so approachable. We had found that some well manicured gardens in Japan are to admire from afar, e.g. an inviting bridge that you are not allowed to cross. But the Oyama Shrine garden allowed for a game of frisbee and uno as we sat and watched the koi swim by. The shrine is known for its stained glass, rare in Japanese shines. Kanazawa Castle: The Castle is a woodworkers dream. Recently rebuilt and completely empty except for…wood! Multiple displays regarding the joinery and building method. Needless to say, Kyle was in heaven. Children’s Library: Yes, really! This was a lovely space to knock out homeschooling….bright and light with many corners to dig into math and writing. Kenrouken Garden: Called one of the three best gardens in Japan, Kenrouken was sprawling and beautiful. We saw it following the shrine and castle so the garden didn’t get the full meandering attention from us that it required. A gorgeous must see. Ninjadera: This is a shogun house that has many “ninja” features including trap doors and false walls. We all enjoyed it very much…feels much more historical than Hollywood. The tour must be reserved in advance and is in Japanese. There is a comprehensive English guide to use during the tour. Young or restless kids are not allowed…we sedated ours before entering (kidding…we just got lucky, they were well behaved that day!). 21st Century Art Museum: HIGHLIGHT. I was blown away by this museum. It’s known for a swimming pool exhibit in which people standing under the pool appear to be in the pool water. But there was so much more! I was entranced by the In-Habit Project exhibit by Isabel and Alfredo Aquilizan. Thousands of reused cardboard boxes built into a sprawling community meant to represent a floating village off the coast of Borneo. Nagamachi: Beautiful traditional home in the Samurai district with the sweetest garden. We encountered a group of touring Japanese men who clearly had a bit too much to drink. One asked Sean to sit and participate in a team ceremony. I watched like a hawk while Sean sat cross legged, sipping his tea and conversing quite comfortably. Omicho Market: I loved this market…it was 99% authentic…vegetables and seafood. The largest snow crabs I’ve ever seen, so many fresh vegetables (I ate more salads in Kanazawa than anywhere else). The kids and I had our first taste of a nashi there, a yummy fruit reminiscent of a pear-apple, or as Sean named it, a papple. 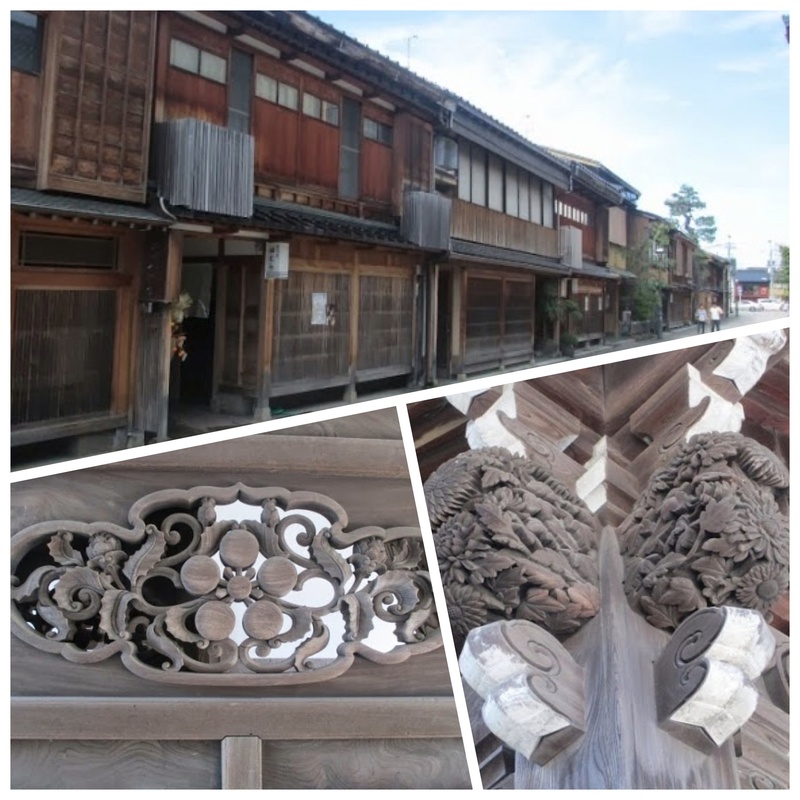 Woodworking: Kyle spent time in Kanazawa in local woodworking shops, seeing the local methods, perusing the tools and making future contacts. He had a few serendipitous moments that will certainly influence his work back home. Sushi, Sashimi, Sake…oh my! The freshest seafood and an increasing understanding of sake led to some yummy meals in Kanzawa and some failures…pointing to a picture of a fish netted me a fish head. We also tried out first conveyor belt sushi restaurant, which was tastier and more economical than U.S. versions. 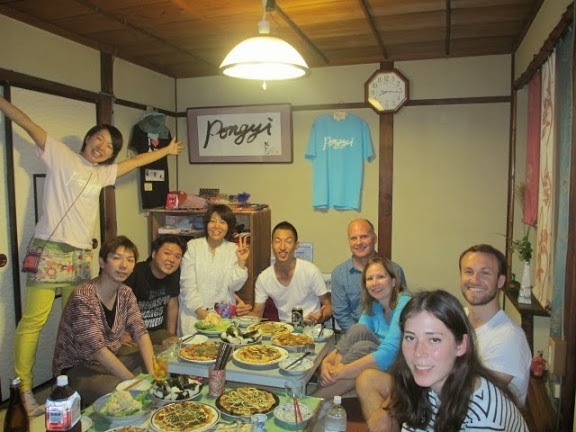 But our best meal with the one we made and ate side by side with our hosts at Pongyi Guesthouse…sagayaki and the best of company. 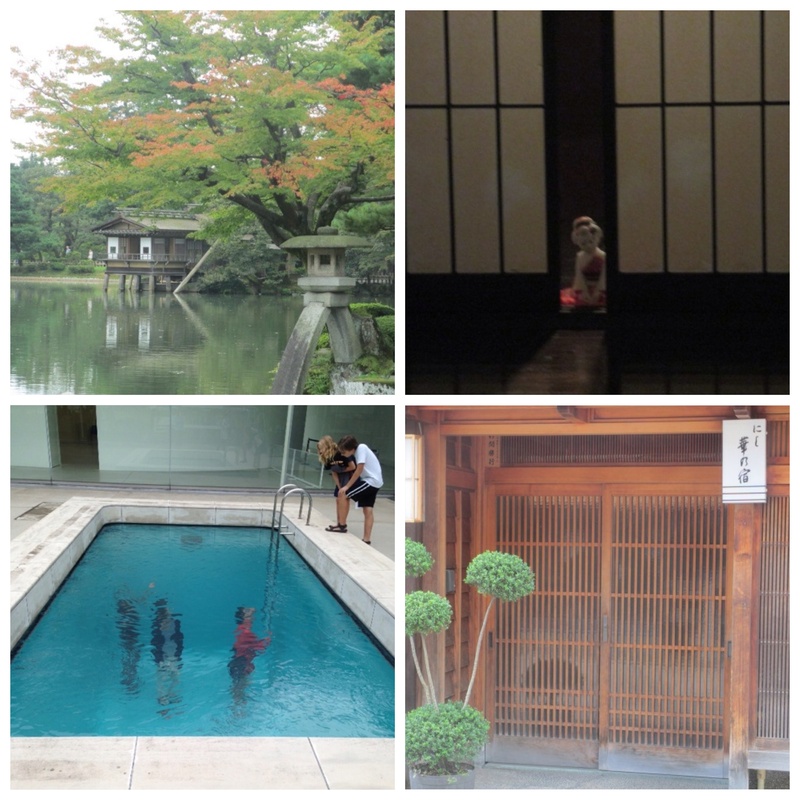 We loved Kanazawa when we were there! The Kenrokuen Garden is simply amazing. So green! Bianca, based on that sort of creepy TripAdvisor feature that says “your friend has been here,” I think we’re following a bit of your travel paths between Japan and SE Asia! :). We fly to Cambodia today…wish us luck!